If one has to learn about showmanship, it has to be from Kareena Kapoor Khan. With the gorgeous eye make-up, hair on point, her confidence level – tearing the roof apart and the attire – Oh My Gawd! She is just the Goddess who will never let down any designer she chooses to wear. We expect nothing less than brilliant when it comes to Bebo’s fashion choices but it creates literally magic when Kareena and a fabulous designer like Monisha Jaising collaborate. The collection was named as “Shades Of A Diva”, so who could have been the choice rather than the most glamorous diva in the industry, Kareena Kapoor Khan. 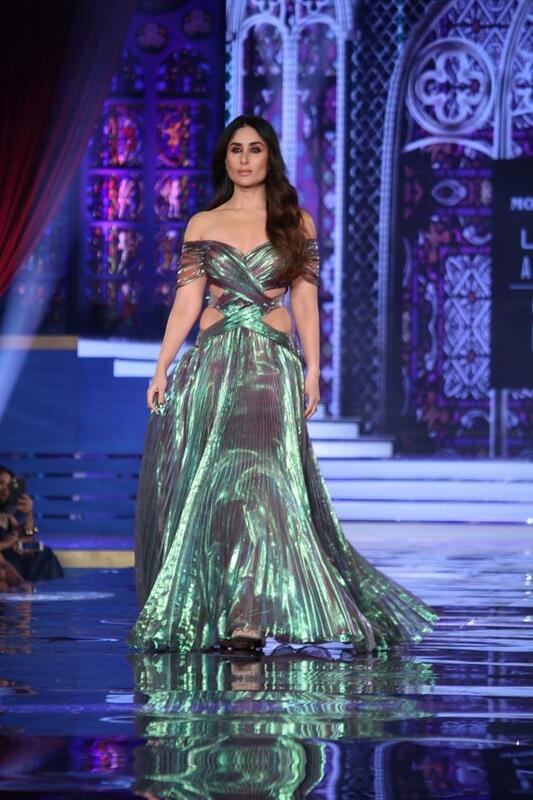 The grand finale of Lakme Fashion Week Winter/Festive 2018 couldn’t have got bigger and grander more than choosing the Lakme’s brand ambassador herself, Kareena Kapoor Khan. Walking for the ace designer Monisha Jaising, she channelled her inner diva for the show and see if you can resist from getting mesmerized! Kareena is one name which is always taken when it comes to being a fashion icon ad she being the brand ambassador of cosmetic brand Lakme makes her the organic choice for the grand finale showstopper. Dazzling the ramp in a holographic coloured off-shoulder gown and she just rocked the floor. First she announced her own Lakme make-up collection, The Kareena Kapoor Khan Collection by Lakme Absolute. She wore the stunning blue high-slit ensemble. Monisha Jaising’s collection is also nothing short of brilliant with a gamut of fabulous ensembles ranging from short dresses, thigh-high slit gowns, sarees, cocktail dresses and jumpsuits. 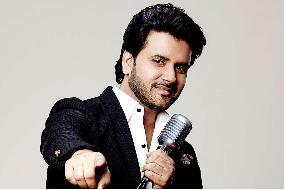 Both the designer and the diva bewitched the audience with a show which will remembered for years to come.